The system supports an Intel Core 2 Quad/Core 2 Duo processor with a 800/1066/1333 MHz frontside bus and is equipped with the Intel Q35+ICH9DO Express chipset. 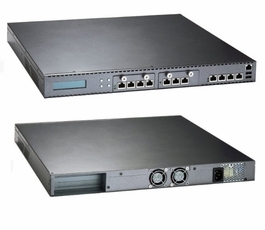 For greater flexibility and easier maintenance, the NA-821 has two front-accessible expansion slots that allow developers to configure PCIe LAN modules based on their solution requirements. The NA-821 supports two DDR2 667/800 DIMM sockets up to 4GB memory. Additionally, the NA-821 has storage interfaces including two SATA 2.5" HDD and CompactFlash . To prevent problems from platform shutdown, the NA-821 supports up to four groups of LAN bypass function through WDT and GPIO pin definitions. 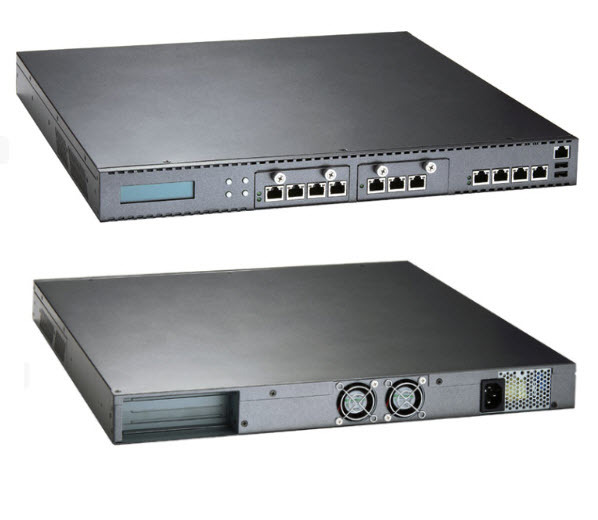 The network security platform also offers powerful management functions, including BIOS redirection and SNMP (optional). Network Interface The default is ten 10/100/1000Mbps Ethernet and four LAN bypass segments.